MARRAKECH, Oct 23 2014 (IPS) - By leveraging knowledge about climate change, through adopting improved agriculture technologies and using water and energy more effectively, Africa can accelerate its march towards sustainable development. Policy and development practitioners say Africa is at a development cross roads and argue that the continent — increasingly an attractive destination for economic and agriculture investment — should use the window of opportunity presented by a low carbon economy to implement new knowledge and information to transform the challenges posed by climate change into opportunities for social development. “Climate change is not just a challenge for Africa but also an opportunity to trigger innovation and the adoption of better technologies that save on water and energy,” Fatima Denton, director of the special initiatives division at the United Nations Economic Commission for Africa (ECA), told IPS. 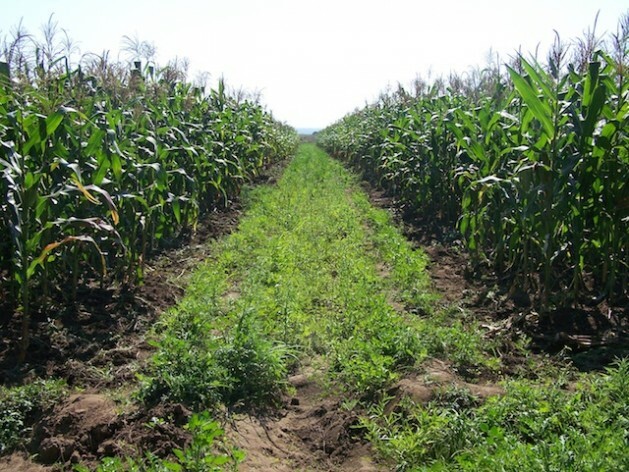 Africa, while enjoying a mining-driven economic boom, should look at revitalising the agriculture sector to drive economic development and growth under the framework of the new sustainable development goals, she said. Denton said that for too long the climate change narrative in Africa has been about agriculture as a vulnerable sector. But this sector, she said, can be a game changer for the African continent through sustainable agriculture. In Africa, agriculture employs more than 70 percent of population and remains a major contributor to the GDP of many countries. Climate-smart agriculture is being touted as one of the mechanisms for climate-proofing Africa’s agriculture. CGIAR — a global consortium of 15 agricultural research centres — has dedicated approximately half its one-billion-dollar annual budget towards researching how to support smallholder farmers in sub-Saharan Africa through climate-smart agriculture. When announcing the research funding in September, Frank Rijsberman, chief executive officer of CGIAR, said there can be no sustainable development or halting of the effects of climate change without paying attention to billions of farmers who feed the world and manage its natural resources. Although Africa has vast land, energy, water and people, it was not able to feed itself despite having the capacity to. The inability of Africa’s agriculture to match the needs of a growing population has left around 300 million people frequently hungry, forcing the continent to spend billions of dollars importing food annually. Climate change is expected to disrupt current agricultural production systems, the environment, and the biodiversity in Africa unless there is a major cut in global greenhouse gas emissions. The Intergovernmental Panel on Climate Change’s (IPCC) Fifth Assessment Report has warned that surpassing a 20C temperature rise could worsen the existing food deficit challenge of the continent and thereby hinder most African countries from attaining the Millennium Development Goals (MGDs) of reducing extreme poverty and ending hunger by 2015. Economic and population growth in Africa have fuelled agricultural imports faster than exports of agriculture products from Africa, says the 2013 Africa Wide Annual Trends and Outlook Report (ATOR) published by the African Union Commission. The report shows that the agriculture deficit in Africa rose from less than one billion dollars to nearly 40 billion in the last five years, highlighting the need for major agriculture transformation to increase production. Francis Johnson, a senior research fellow with the Swedish-based Stockholm Environment Institute, told IPS that renewable energy like wind, solar and hydro-power, are vital components in Africa’s sustainable development toolkit given its unmet energy demands and dependence on fossil fuels. He added that developing countries should embrace clean energy as they cannot afford to follow the dirty emissions path of developed countries. “In Africa competition is more about water than about land. And right decisions must be made. And when it comes to bio energy, it is the issue of choosing the right crops to cope with climate change,” Johnson said. According to research by the Ethiopia-based Africa Climate Policy Centre, the cost of adaptation and putting Africa on a carbon-growth path is 31 billion dollars a year and could add 40 percent to the cost of meeting the MGDs. Adaptation costs could in time be met from Africa’s own resources, argues Abdalla Hamdok, the deputy executive secretary of the ECA. He said that Africa could do this by saving money lost to illicit financial flows estimated to be more than 50 billion dollars a year.